The $320 bln oil giant’s Guyana discoveries are swelling, Permian production is booming, and restructuring efforts are paying off. That helped it top quarterly earnings expectations. But CEO Darren Woods’ efforts are adding to a global oil glut, which will limit future success. Logos of ExxonMobil are seen in its booth at Gastech, the world's biggest expo for the gas industry, in Chiba, Japan April 4, 2017. 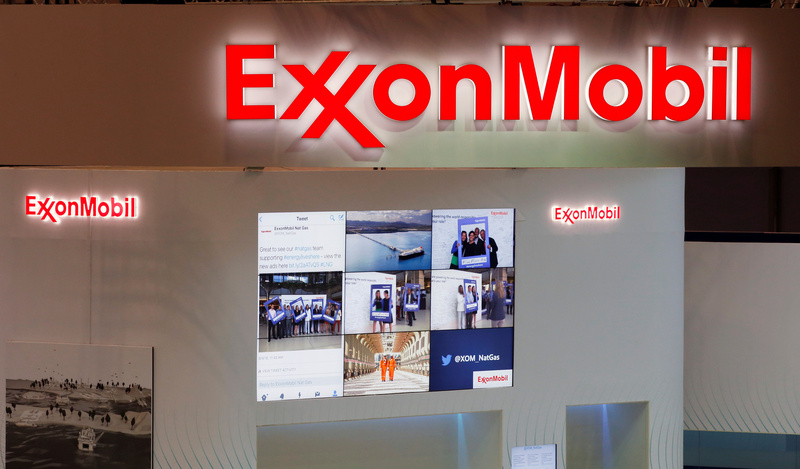 Exxon Mobil said on Feb. 1 that fourth quarter net income fell to $6 billion from $8.4 billion a year ago. At $1.41 a share, earnings exceeding the mean analyst estimate of $1.08, according to I/B/E/S data from Refinitiv. Excluding asset impairments and the impact of U.S. tax cuts, which boosted year-earlier results, earnings increased 72 percent from a year earlier to $6.4 billion. Production in the company's upstream business grew slightly to 4 million barrels of oil equivalent per day, from 3.9 million barrels in the same period last year. Production in the West Texas Permian region grew 90 percent. On the same day, Chevron said that fourth quarter earnings grew to $3.7 billion, or $1.95 a share, from $3.1 billion, or $1.64 a share, a year earlier. Net oil equivalent production grew 13 percent in the quarter to 3.1 million barrels per day.